ACACIA Mining was yet to receive a detailed proposal from Barrick Gold, its 63.9% shareholder, regarding a resolution to a tax dispute with the Tanzania government. Commenting in its first quarter production report published today, in which it disclosed that both gold output and cash had fallen, Acacia CEO, Peter Geleta, said the company had “continued to engage with and provide support to Barrick”, but added that discussions between Barrick and the government had yet to conclude. The negotiations are an attempt to resolve a two-year dispute in which the government alleged Acacia owed it $180bn in unpaid tax, interest and penalties. The allegations have been contested by Acacia Mining at the International Court of Arbitration. 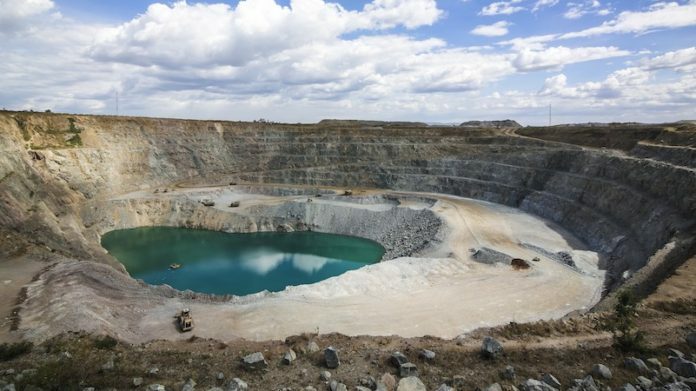 After declining to meet with Acacia, the Tanzanian government engaged with Barrick which offered a once-off $300m ‘goodwill’ payment by Acacia to the government and a proposal to share proceeds from the mines Acacia operates. The framework was adopted by new Barrick CEO, Mark Bristow. However, final details are yet to emerge ahead of assessment by an independent committee established by Acacia Mining. Management’s “language” regarding the status of the dispute was unchanged, according to RBC Capital Markets. “Our impression is that the operating environment remains challenging,” it added. Acacia has had some former and existing employees arrested and imprisoned on allegations of corruption and who have not been bailed. Tanzania has also threatened to shut North Mara if a tailings problem was not resolved. Production for the first quarter came in at 104,899 ounces, a 13% decline compared to the first quarter of the previous financial year. The lower output was put down to a fall of ground in December at the Gokona section of North Mara, the only mine of three unaffected by an export embargo imposed in the wake of the tax dispute. Acacia said the fall of ground prevented access in the quarter to two higher grade stopes which resulted in a 19% decline in head grade year-on-year to some three grams per ton. An excavator breakdown in the Nyamirama open pit also affected gold production at North Mara. “In order to address these issues, North Mara began working to a revised mining plan from mid-March 2019 with new mine sequencing for both the open pit and underground mines targeting higher grades and increased volumes supported by additional equipment, as well as initiatives to improve recovery rates in the process plant and asset reliability,” Acacia said in its report. Given these initiatives, Acacia was confident it would yet reach 500,000 to 550,000 oz production guidance for its 2019 financial year. Production at Buzwagi was down a fifth, a decline expected as the mine is now solely treating low grade stockpile material. Bulyanhulu, a mine where underground operations were mothballed as a result of the dispute with the Tanzanian government, produced 17% less production. This was a result of planned lower grade stockpile processing. Acacia reported a decline in its cash balance to $99m, a fall of some $17m as a result of the lower production. “The fall of ground is likely a one off and not a fatal flaw in our view,” said RBC Captial Markets in a report on the update. “With the excavator back up and running and a new mine plan sequence under way at Gokona, Acacia had left full year group production guidance of 500,000 to 550,000 oz unchanged. However, it now feels more likely only the low end may be achievable,” said the bank. Shares in Acacia Mining edged down just over 3% on the London Stock Exchange. On a 12-month basis, however, the share is 33% higher suggesting the market is hopeful that an agreement with the Tanzanian government can lead to stability and the resumption of full-scale operations.